The BMI Study in the UAE Agent Workshop will take place in Dubai on 24th & 25th February 2019. The UAE is the fastest growing international education hub in the world. Featuring a range of high quality domestic universities, the UAE is also home to 40 branch campuses that deliver international degrees in this world class educational hub. These universities are generally based in Dubai International Academic City with their home campuses being located in countries such as the UK, USA, Australia, India and other European countries. A limited number of selected agents will be invited to join the Workshop where they will be hosted in a 5 star hotel with all daily meals covered. Over the two days, agents will attend structured pre-scheduled meetings with schools and institutions who are attending the workshop with the specific goal of growing their international agent network. 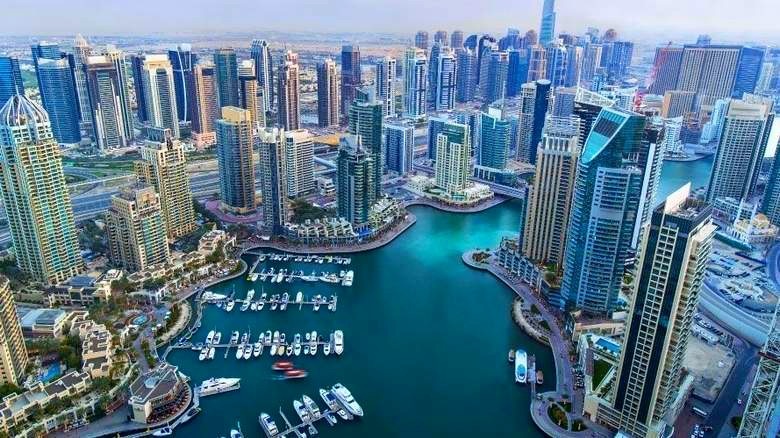 The workshop therefore provides a prime opportunity to grow your business by building new connections, signing new representation agreements whilst exploring and gaining an understanding of the dynamic and exciting destination of Dubai and the UAE. The world’s largest free zone dedicated to higher education and the pursuit of intellectual growth. Dubai International Academic City (DIAC) was launched in April 2007 to cater to the needs of the region’s growing and diverse academic community. Home to numerous regional and international colleges and universities, it serves over 27,000 students from all around the world. With more than 500 undergraduate and post-graduate programmes currently offered to students, DIAC continues to expand and grow as per the needs of its robust and talented academic community. BMI will provide accommodation on the nights of February 23rd & 24th. Breakfast on February 23rd & 24th is included for those who are staying at the hotel. Registered and confirmed participants will receive a login and password to the Marcom e-scheduling system. The login details will be sent to agents by email. ​The e-scheduling system will be open approximately 1 month before the event commences and agents will be able to request and confirm appointments with all participating institutions. Agents will also be able to view institution profiles and contact details in the Marcom system. The event is sponsored by Guard Me who are one of the world’s leading student insurance providers and have been recognised as the best international insurance provider in the world by various international associations and companies. Guard Me will also be at the workshop to discuss the best plans and options for your agency. ​Guard.me is Travel Healthcare Insurance Solutions Inc.’s flagship line of comprehensive health insurance products. These products are designed for international students who are studying in Canada, Canadians studying and working abroad, as well as teachers and participants in exchange, co-op programs and internship programs. Our new GlobalGuard International program covers students and teachers from any country to any country. Since 1994, we have continually worked to exceed the expectations of our clients by offering superior service, comprehensive policy benefits and fast efficient claims processing that continue to surpass industry standards.